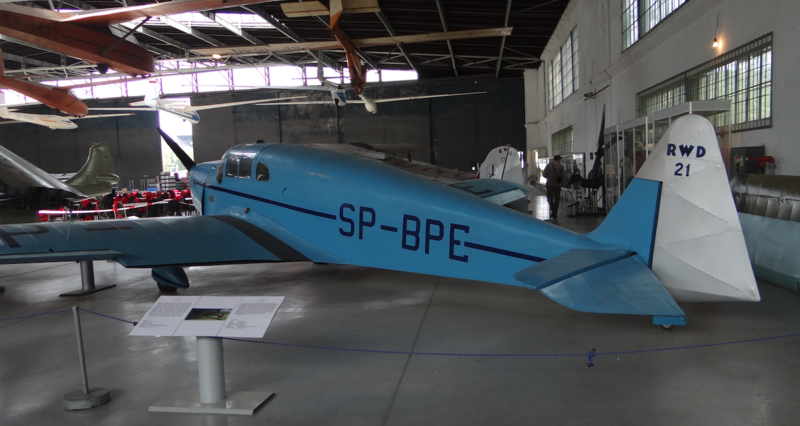 Experimental Aerospace Workshops, abbreviated as DWL, were a Polish aerial company that constructed and produced planes under the designation RWD. RWD stands for the names of constructors: Stanisław Rogalski, Stanisław Wigura and Jerzy Drzewiecki. We can accept the time frame: December 1925 - September 1, 1939. On the aircraft RWD-5 bis pilot captain. Stanisław Skarżyński defeated the Atlantic Ocean alone. The RWD-6 plane, piloted by Franciszek Żwirko and Stanisław Wigura, won in 1932 in the international Challenge International des Avions de Tourisme competition. In 1934, the pilot captain. Jerzy Bajan and senior Sgt. mechanic Gustaw Pokrzywka on RWD-9 repeated this success. In 1935, on the basis of RWD-6 and RWD-9 aircraft, a tourist and sanitary plane RWD-13 was created. From 1935, the Experimental Aviation Workshop (DWL) began developing not only sports and tourist airplanes, but also an ambulance and passenger. The passenger plane was RWD-11 (1936) - low-wing, two-engine, 8-seat. The ambulance was powered by RWD-13 S.
At that time, the factory began to develop more and more aircraft in a modern system - a low-plane. 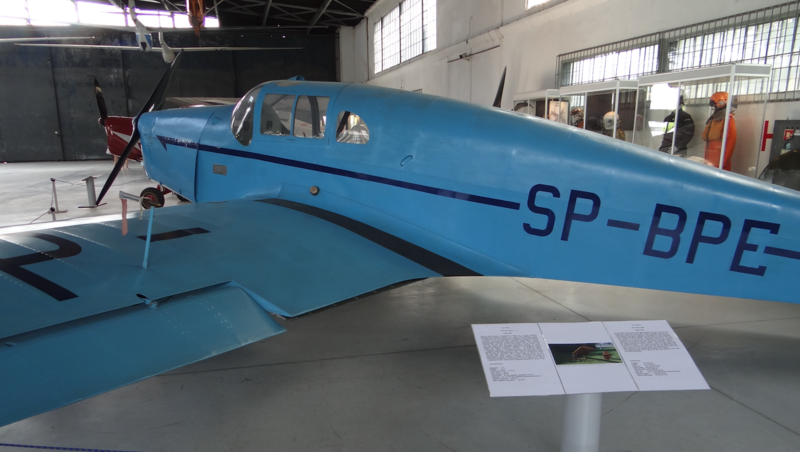 The first was RWD-11 - passenger and RWD-16 (1936) - a sports plane, two-seat. Then there was the RWD-19 plane (1938) - a sports plane, two-seat, record-breaking. 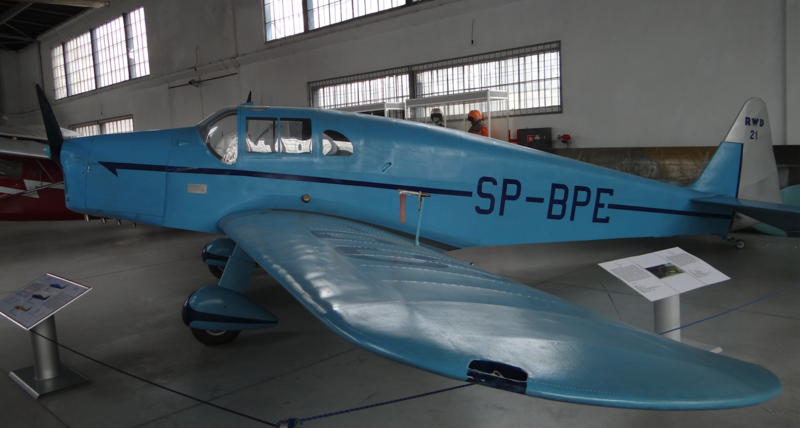 Finally, a very good RWD-21 (1939) plane - a two-seat sports plane. 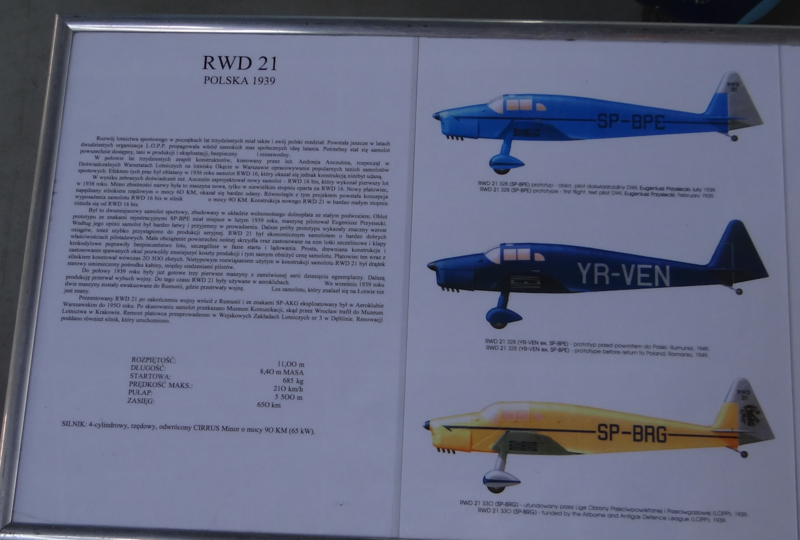 The RWD-16, RWD-16 bis, RWD-21 aircraft was developed by the engineer Andrzej Anczutin. The RWD-16 was powered by a 60 HP in-line engine, and the RWD-16 engine was 90 HP. The RWD-21 aircraft was a development of the RWD-16 bis aircraft. The prototype RWD-21 prototype with registration marks SP-BPE took place in February 1939. Eugeniusz Przysiecki was the pilot on the first flight. In the cockpit the pilot sits side by side, but there is only one control stick, located centrally between the pilots. The RWD-21 aircraft was easy to build, easy to pilot, safe at takeoff and landing. The airframe cost in production is only PLN 20,500. The Aero Club has placed an order for 10 copies. The first three planes were ready in July 1939. It is known that planes have also been ordered by private individuals, but none of these people took off because the Second World War broke out. After the beginning of World War II, one aircraft was evacuated to Latvia, and two planes were evacuated to Romania. After the war, one of the planes returned from Romania. Until 1950 he flew in the Warsaw Aeroclub. Then it was transferred to Wroclaw. 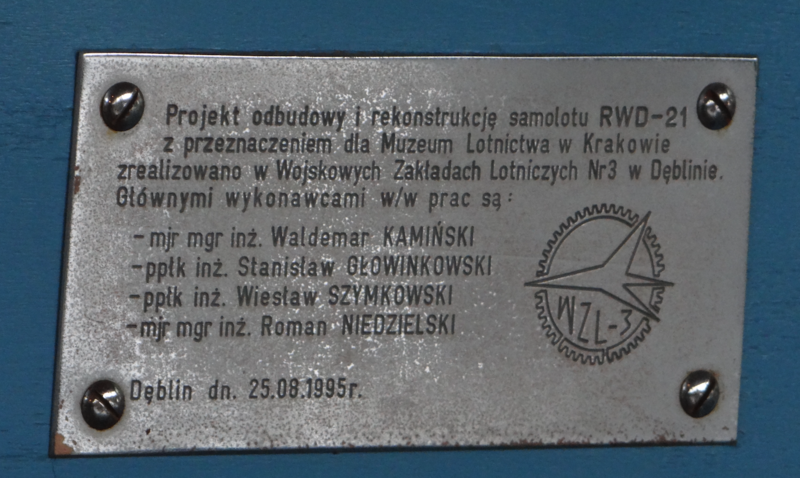 In 1963, the plane was handed over to the museum in Krakow.